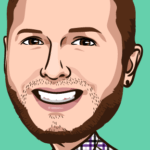 Banc De Binary Review - demo, fees, strategy and more! Does not allow US traders to register an account. Banc De Binary was founded in 2009 and has won multiple awards. BDBinary is known as the leader in the binary options market. It is an online platform that does not require any downloading onto your device. Their platform is mobile and tablet friendly, but we have to say that it is a bit slower than other platforms. However, this review is not worth much, since BDB has been shut down by it’s founder. 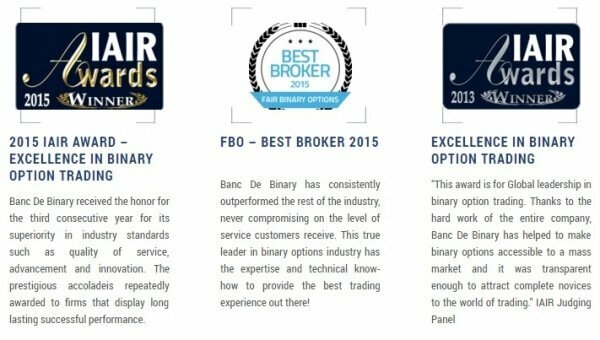 Banc de Binary has received multiple awards since it was founded. Some of these awards are BEST BINARY OPTIONS BROKER 2015 and Best Binary Options Broker in the Middle East 2013. From our site, unfortunately, banc de binary has not yet received any awards. Banc de binary has received multiple awards. Click on the image to show more. 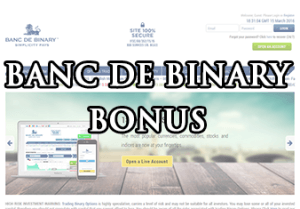 The platform that banc de binary uses is similar to other brokers’, for example, BDSwiss operates on the same platform. They offer high-low options trading, trading pairs, short and long term trading. 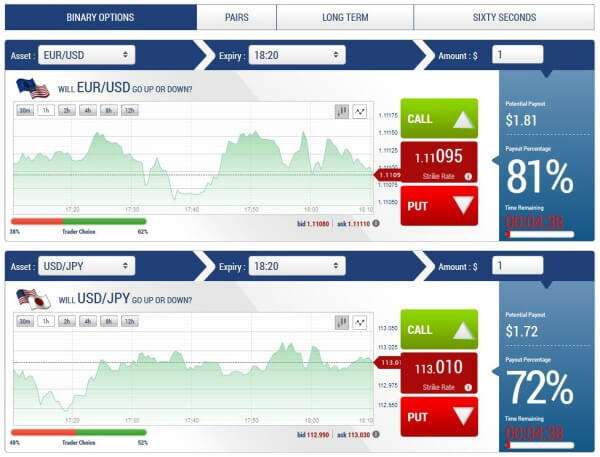 Nothing fancy but it is enough for regular binary options trading. We have to admit that their platform might come across as rather slow compared to other brokers, but it definitely is worth the wait. Minimum trade size is only $1 which makes bdbinary a great company to start with if you’re new to the business. There are several account types depending on how much the trader wants to deposit and invest. The account types are called Bronze, Silver, and Gold. 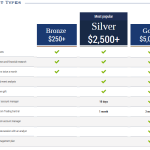 The Bronze account has access to the 190 trade-able assets of the company, reviews, lots of webinars, daily marketing access to training, and starts with depositing $ 250 or more. 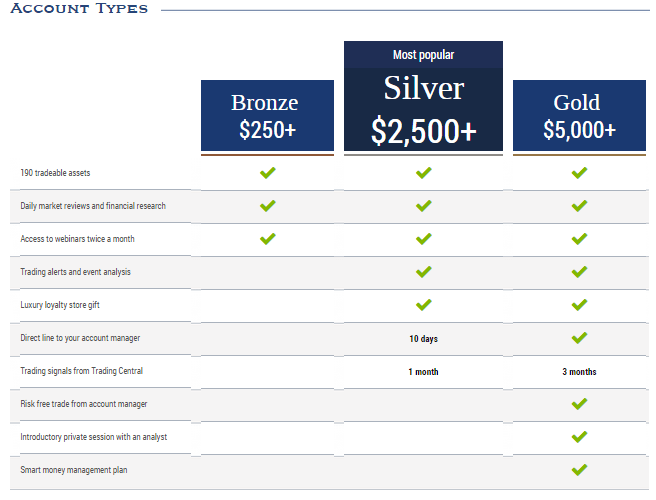 Silver accounts have everything the previous account type and start with $2 500. Also, you will get loyalty gifts, trading alerts and events, direct access to your account manager for 10 days and a trading central access for 1 month. The Gold starts with depositing $ 5 000. The access to the trading central is prolonged for 3, you get your very own account manager, and the money management smart plan. 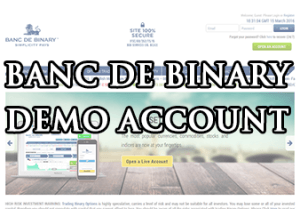 Banc de Binary offers a demo account (learn more) with $ 50 000 for trading. You will get access to the demo account as soon as you make your first deposit of $ 250 or more. Then after talking to the live-support, your demo account is opened and you have an unlimited access to it. Deposits can be made using visa, master card, skrill, wire transfer, and some alternative deposit methods may be used if you ask your account manager. Banc de Binary has some great bonuses. Like other binary trading companies, it all depends on how much the trader deposits. Some high account holders can get a signup bonus of up to a 100%, which doubles their money before they have even started to trade! The broker Banc de Binary also offers a 3-risk-free trades bonus for all clients who sign up. Another bonus is the referral sign up bonus when they refer a friend or someone to Banc de Binary to open an account they get a bonus in their account. Traders can also earn bonuses from event specials randomly. Bonuses are great ways to get “free money” to trade with. It is fast and easy to deposit funds into whatever account you have. Withdrawals of funds from your binary trading account are just as easy as depositing. You can use your credit card, bank wire transfer or e-wallet, but other alternative options are available as well. There is a minimum withdrawal amount of $50. No fees are applied when withdrawing. Technically – No, not at all. A year ago, though, they have received a fine for accepting US traders. That was against the law, since they did not have a permission to do so. Banc de Binary might be a bit slower than other websites but it’s definitely the best broker around. With such a name and so many client’s they can’t do anything wrong – it would make them go bankrupt.. So is Banc de Binary open also for clients in EU?